Zinc plated steel. Roller shaft comes complete with 2 pal nuts. Extra pal nuts sold in packs of 10. .. 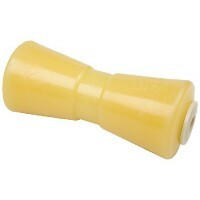 Bow rol w/bell-ylw-3 x 1/2 id Hole: 1/2" IDLength: 3".. Bow roller-ylw-3 x 1/2 Hole: 1/2" IDLength: 3"..
Spool roller-ylw-4 x 1/2 Hole: 1/2" IDLength: 4"..
Spool roller-ylw 4in x 5/8in i Hole: 5/8" IDLength: 4".. 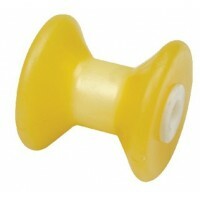 Bow rol w/bell-ylw- 4x1/2 id Hole: 1/2" IDLength: 4".. 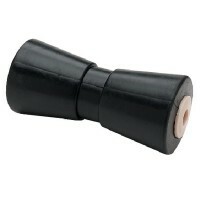 Bow roller-ylw-4 x 1/2 Hole: 1/2" IDLength: 4"..
Spool roller-ylw-5 x 1/2 Hole: 1/2" IDLength: 5"..
Spool roller-ylw-5 x 5/8 Hole: 5/8" IDLength: 5"..
Black rubber. 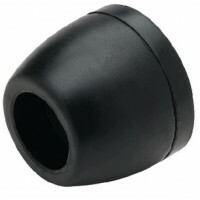 Hole: 1/2" IDLength: 3"..
Black rubber. Hole: 3/8" IDBase: 2" x 2"Span: 4"..
Black rubber. Hole: 1/2" IDBase: 3" x 3"Span: 6"..
Black rubber with 5/8" nylon inserts. 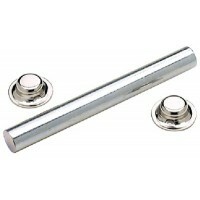 Heavy duty steel sleeve and tapered design provide longer life..
11 gauge galvanized steel. 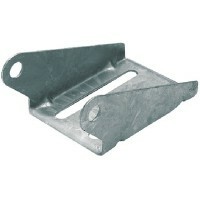 One-piece keel roller bracket with 5" slot for vertical adjustment. 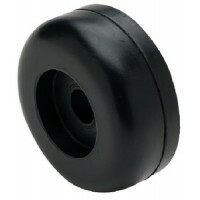 Mount..
Keel roller-ylw-10 x 5/8 Hole: 5/8" IDLength: 10"..
Keel roller-ylw-12 x 5/8 Hole: 5/8" IDLength: 12"..
Keel roller-ylw-8 x 5/8 Hole: 5/8" IDLength: 8"..
Black rubber. 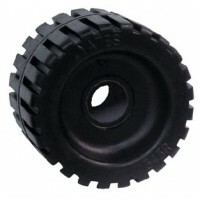 Hole: 3/4" IDSize: 4-3/8" D x 3" W..
Black rubber. Hole: 5/8" IDSize: 3-1/2" dia. 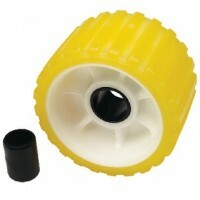 x 1-1/4" W..
Black rubber. 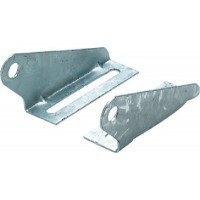 Hole: 5/8" IDSize: 2-1/2"..
9 Gauge galvanized steel. Allows for use with any width roller. Features a 5" slot for vertical adju..
Black rubber with plastic sleeve. 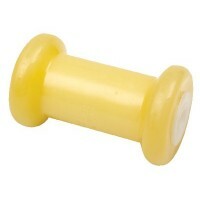 Hole: 5/8" IDLength: 4"..
Black rubber with plastic sleeve. 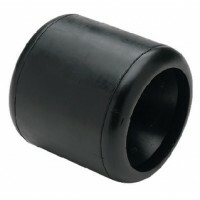 Hole: 5/8" IDLength: 8"..
Black rubber with plastic sleeve. 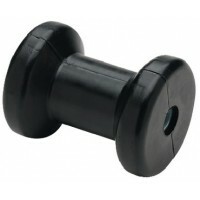 Hole: 1/2" IDLength: 4"..
Black rubber with plastic sleeve. 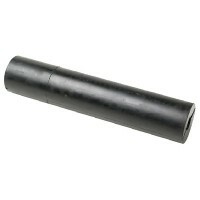 Hole: 1/2" IDLength: 5"..
Black rubber with plastic sleeve. 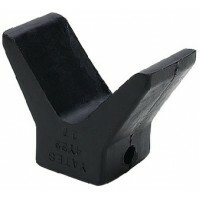 Hole: 5/8" IDLength: 5"..
Non-marking black rubber. Hole: 5/8" IDSize: 12" x 2-1/2"..
Black rubber with chemically bonded zinc chromate washers. Hole: 3/4" IDSize: 4-1/4" D x 4-1/4" W..
Keel pad-ylw-12 x 3 Size: 12" L x 3-1/2" W x 1" H..
Rib roller-ylw-5-3/4 & 1 1/8 Hole: 1-1/8" IDSize: 5" D x 3" W..
Rol end cap-ylw-3 1/2 x 1 1/4 Hole: 1-1/4" IDLength: 3-1/2".. 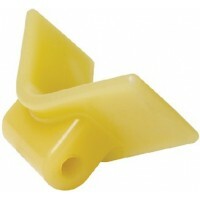 Bow stop-ylw-3in x 3 1/2in Size: 3" x 1/2".. 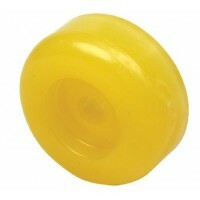 Durable orange polyurethane. Will not mark or discolor boat. Cut and abrasion resistant. Will not "f..